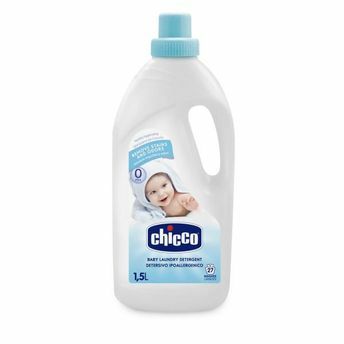 Carefully made with a delicate formula that effectively removes stains without being aggressive on textiles and on the skin, the Laundry Detergent by Chicco is hypoallergenic and is confirmed super safe by dermatologists. The formula contains anionic surfactants between 5 % and 15%, and non-ionic surfactants less than 5% along with a correct ratio of soap and enzymes. This composition reflects a good balance between delicacy of the product and cleaning power to remove all kinds of stains. Explore the entire range of Miscellaneous available on Nykaa. Shop more Chicco products here.You can browse through the complete world of Chicco Miscellaneous .